My Momma always taught me to Butter my Toast to the Edge and since her passing strangely it’s become a little mantra for my life. Attempting to take the basic joys and building a well-fed life off it. I’m not talking about eating the whole loaf in the pantry and slathering a stick of butter on one golden toasted slice. But, savoring every Edge just the way I like it. And making no apologies. Butter is good and toast is fabulous. Remembering Life is too short to deny ourselves the authentic everyday goodness over a imitation of ideal expectations. Just like I Can’t Believe It’s Not Butter. It might look like it or the taste maybe resembles it. But, ain’t Butter and You might as well go for the Real Thing rather than the imposter. Last year was a butter bust for me in that Department. I had a lot of ideas of where I needed and wanted to be. And so many Can’ts (won’ts) So, far in these 6 days of 2019. I have been being, doing and bucking the unrealistic expectations. It tastes good to say the least. Yes, their is some salty moments, but I’m resting Easy in them too. Doing me each day a little bit more. Writing daily on the Blog. 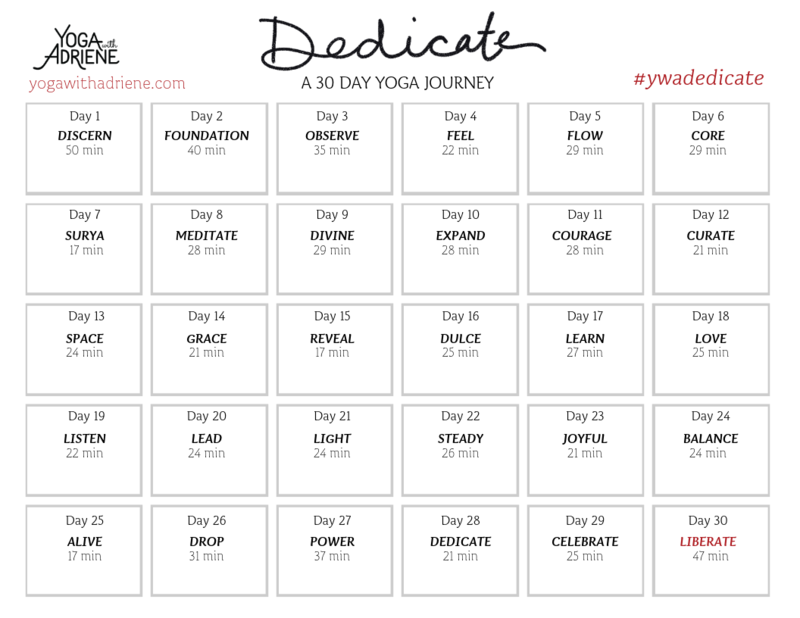 Showing up for Dedicate- 30 day Yoga Journey via Yoga with Adriene. Taking the Day with Little actions that hopefully will turn into Big Picture Progress. Letting Go of People, Ideas and Things that aren’t serving me in the moment. And showing myself Kindness again. And thanks for coming along with me. On the Mat: 40 minutes. Observations: I woke up with a good ache from yesterday. Day 2 is much better with clean wood floors and Polish free toes. Less distraction to focus on being more present in the practice. Love how Adriene gives us permission to modify and come as we are whatever level we are at. I know I’m a beginner for sure. Awkward at times with my poses, but still bringing the best I can. Insights: Foundation. Breathing and remembering to connect with my body. Not fighting it’s current beginner status. And being present in the movements, showing a little love and not just going through the motions. But, I’ll Take Today: It’s a work day and I need to drink my water. And Let Go. I also found out what nameste means:) to Bow and honor ourselves and each other. And I’m Resting Easy in that for 2019 😊. And this via @sarajanecase (A Instagram fave from 2018 that’s coming with me into 2019). It spoke to me more than any Resolution could. Maybe it will you too. Happy New Year.